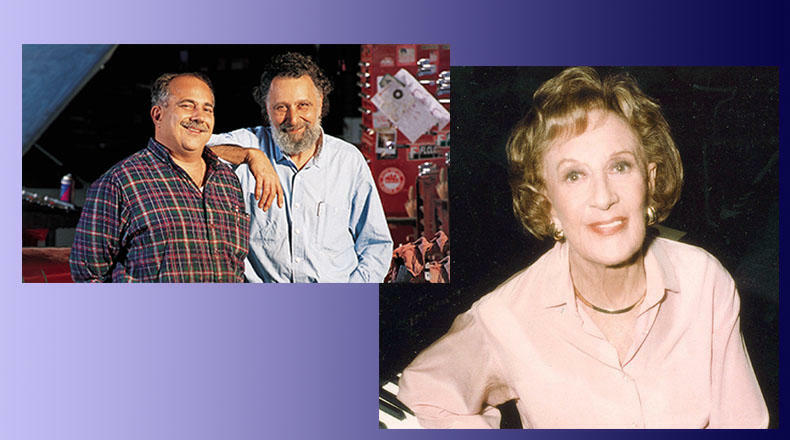 Ray Magliozzi, the late Tom Magliozzi, and the late Marian McPartland. Marian McPartland's Piano Jazz began airing in 1979 and was NPR's longest-lived cultural program; it was among the most widely listened to programs of its kind in the world. Shari Hutchinson, who worked on the program since the early 1980’s, ultimately becoming producer, says this about the show and about Marian McPartland, who died in 2013 at age 95, “Earlier this year, South Carolina Public Radio joined with our perennial partners, the ETV Endowment of South Carolina and NPR, to celebrate the 100th Birthday of Marian McPartland. This was a fitting culmination of her legendary life and her equally legendary radio program. It made me so proud; I know Marian would be as well. Yet all things must change, Piano Jazz will retire September 2018. Please know work continues to maintain the archive of over 700 shows and to promote its use for education and as a resource for public radio. As Marian would say, 'It has been a real kick!'" For three decades, Tom and Ray Magliozzi (aka Click and Clack the Tappet Brothers) have been America's funniest auto mechanics. By making millions of listeners laugh, they have become the defining voices of public radio weekends. After September 30, 2017, weekly broadcast production of the Best of Car Talk programs will end. NPR and Car Talk came to this decision after consultation with key station personnel, programmers, researchers, listeners and Car Talk's own staff. Doug Berman, Executive Producer of Car Talk, told NPR, "In many ways, the Best of Car Talk is the best of public radio — honest, authentic, original, warm, interactive, broadly welcoming and unforgettable." Saturday September 29 will be the last on-air broadcast of Car Talk on South Carolina Public Radio. You can still listen to weekly episodes at cartalk.com/podcast and continue to engage the show at cartalk.com. Ray Magliozzi said in a statement, “Over three decades, it was an unparalleled pleasure to take your calls, make your car problems slightly worse, and accidentally insert strife into your family relationships. It’s been a tremendous honor and privilege to be able to waste an hour with you on this station every week, for all these years. We thank them and we thank you."